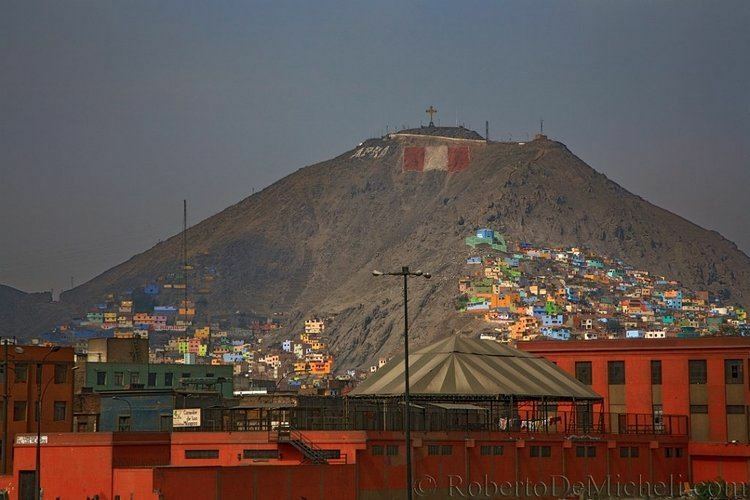 Lima (, [ˈlima], Quechua: [ˈlɪma], Aymara: [ˈlima]) is the capital and the largest city of Peru. It is located in the valleys of the Chillón, Rímac and Lurín rivers, in the central coastal part of the country, overlooking the Pacific Ocean. Together with the seaport of Callao, it forms a contiguous urban area known as the Lima Metropolitan Area. With a population of more than 10 million, Lima is the most populous metropolitan area of Peru and the third-largest city in the Americas (as defined by "city proper"), behind São Paulo and Mexico City. The city was founded in 1535 under the name City of the Kings (Spanish: Ciudad de los Reyes) because its foundation was decided on January 6, date of the feast of the Epiphany. This name quickly fell into disuse and Lima became the city's name of choice; on the oldest Spanish maps of Peru, both Lima and Ciudad de los Reyes can be seen together. The river that feeds Lima is called Rímac and many people erroneously assume that this is because its original Inca name is "Talking River" (the Incas spoke a highland variety of Quechua where the word for "talker" was pronounced [ˈrimɑq]). However, the original inhabitants of the valley were not Incas. This name is an innovation arising from an effort by the Cuzco nobility in colonial times to standardize the toponym so that it would conform to the phonology of Cuzco Quechua. Later, as the original inhabitants died out and the local Quechua became extinct, the Cuzco pronunciation prevailed. Nowadays, Spanish-speaking locals do not see the connection between the name of their city and the name of the river that runs through it. They often assume that the valley is named after the river; however, Spanish documents from the colonial period show the opposite to be true. Historically, the Flag of Lima has been known as the «Banner of Peru's Kings' City». It is made from a golden color silk canvas and embroidered in the center is its coat of arms. Lima's anthem was heard for the first time on January 18, 2008, in a formal meeting with important politicians, including Peruvian President Alan García, and other authorities. The anthem was created by Luis Enrique Tord (lyrics), Euding Maeshiro (music) and record producer Ricardo Núñez (arranger). 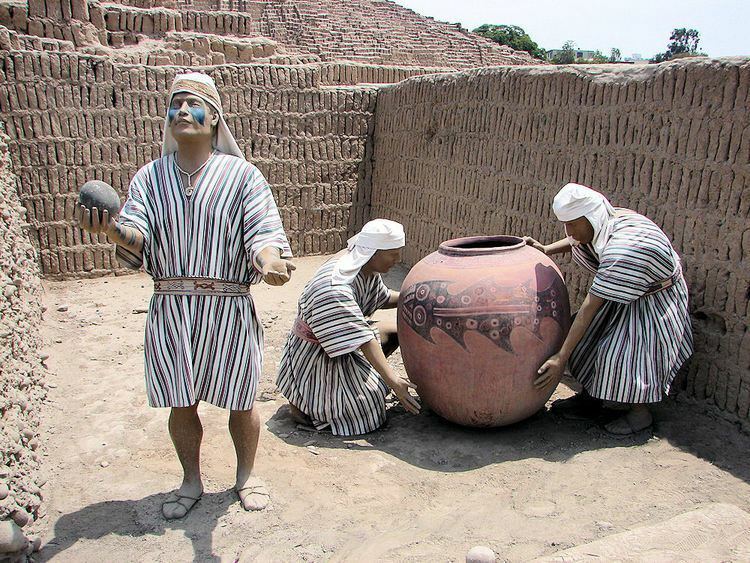 In the pre-Columbian era, what is now Lima was inhabited by indigenous groups under the Ychsma policy, which was incorporated into the Inca Empire in the 15th century. In 1532 a group of Spanish conquistadors, led by Francisco Pizarro, defeated the Inca ruler Atahualpa and took over his Empire. As the Spanish Crown had named Pizarro governor of the lands he conquered, he chose the Rímac valley to found his capital on January 18, 1535 as Ciudad de los Reyes (City of the Kings). In August 1536, rebel Inca troops led by Manco Inca Yupanqui besieged the city but were defeated by the Spaniards and their native allies. On May 24, 1940 an earthquake destroyed most of the city, which at that time was mostly built of adobe and quincha. In the 1940s Lima started a period of rapid growth spurred by migration from the Andean region, as rural people sought opportunities for work and education. The population, estimated at 0.6 million in 1940, reached 1.9 million by 1960 and 4.8 million by 1980. At the start of this period, the urban area was confined to a triangular area bounded by the city's historic centre, Callao and Chorrillos; in the following decades settlements spread to the north, beyond the Rímac River, to the east, along the Central Highway and to the south. The new migrants, at first confined to slums in downtown Lima, led this expansion through large-scale land invasions, which evolved into shanty towns, known as pueblos jóvenes. Despite its location in the tropics and in a desert, Lima's proximity to the cool waters of the Pacific Ocean leads to temperatures much lower than those expected for a tropical desert and thus Lima can be classified as a mild desert climate (Köppen: BWn) with subtropical temperature ranges. Temperatures rarely fall below 14 °C (57 °F) or rise above 29 °C (84 °F). Two distinct seasons can be identified: summer, from December through April; and winter from June through October. May and November are generally transition months, with a more dramatic warm-to-cool weather transition. Daily temperatures oscillate between lows of 18 °C (64 °F) to 22 °C (72 °F) and highs of 24 °C (75 °F) to 29 °C (84 °F). Occasional coastal fogs on some mornings and high clouds in some afternoons and evenings can be present. Summer sunsets are colorful, labeled by locals as "cielo de brujas" (Spanish for "sky of witches"), since the sky commonly turns shades of orange, pink and red around 7 pm. Winter weather is dramatically different. Grey skies, breezy conditions, higher humidity and cooler temperatures prevail. Long (1-week or more) stretches of dark overcast skies are not uncommon. Persistent morning drizzle occurs occasionally from June through September, coating the streets with a thin layer of water that generally dries up by early afternoon. Winter temperatures vary little between day and night. They range from lows of 14 °C (57 °F) to 16 °C (61 °F) and highs of 16 °C (61 °F) to 19 °C (66 °F), rarely exceeding 20 °C (68 °F) except in the easternmost districts. 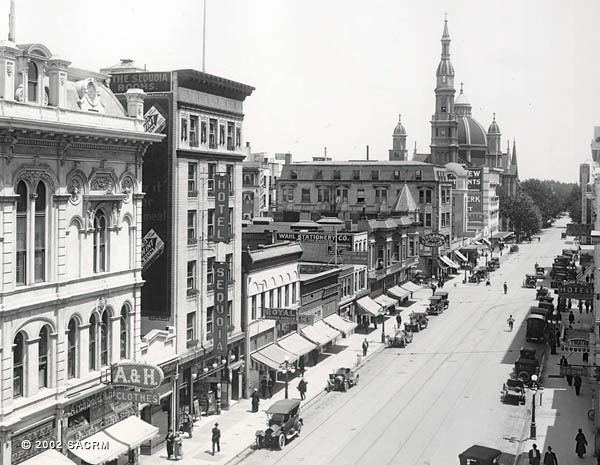 During the early 20th century, thousands of immigrants came to the city, including people of German, French, Italian and British descent. They organized social clubs and built their own schools. Examples are The American-Peruvian school, the Alianza Francesa de Lima, the Lycée Franco-Péruvien and the hospital Maison de Sante; Markham College, the British-Peruvian school in Monterrico, Antonio Raymondi District Italian School, the Pestalozzi Swiss School and also, several German-Peruvian schools. Immigrants influenced Peruvian cuisine, with Italians in particular exerting a strong influence in the Miraflores and San Isidro areas with their trattorias. The annual population growth rate is 1.57%. Some of the 43 metropolitan districts are considerably more populous than others. For example, San Juan de Lurigancho, San Martin de Porres, Ate, Comas, Villa El Salvador and Villa Maria del Triunfo host more than 400,000, while San Luis, San Isidro, Magdalena del Mar, Lince and Barrancohave have less than 60,000 residents. A 2005 household survey study shows a socio-economic distribution for households in Lima. It used a monthly family income of 6000 Nuevos Soles or more for socioeconomic level A, 2000 to 6000 Nuevos Soles for level B, 840 to 2000 Nuevos Soles for level C, 420 to 1200 Nuevos Soles for level D and up to 840 Nuevos Soles for level E. In Lima 18% were level E, 32.3% level D, 31.7% level C, 14.6% level B and 3.4% level A. In this sense, 82% of the population lives in households that earn less than 2000 Nuevos Soles monthly. Other salient differences between socioeconomic levels include levels of higher education, car ownership and home size. Lima is the country's industrial and financial centre and one of Latin America's most important financial centers, home to many national companies and hotels. It accounts for more than two thirds of Peru's industrial production and most of its tertiary sector. The Metropolitan area, with around 7,000 factories, leads industrial development, thanks to the quantity and quality of the available workforce, transport and other infrastructure. Products include textiles, clothing and food. Chemicals, fish, leather and oil derivatives are manufactured and/or processed. The financial district is in San Isidro, while much of the industrial activity takes place west of downtown, extending to the airport in Callao. Lima has the largest export industry in South America and is a regional hub for the cargo industry. The Callao seaport is one of the main fishing and commerce ports in South America, covering over 47 hectares (120 acres) and shipping 20.7 million metric tons of cargo in 2007. The main export goods are commodities: oil, steel, silver, zinc, cotton, sugar and coffee. Lima is headquarters to banks such as Banco de Crédito del Perú, Scotiabank Perú, Interbank, Bank of the Nation, Banco Continental, MiBanco, Banco Interamericano de Finanzas, Banco Finaciero, Banco de Comercio and CrediScotia. It is a regional headquarters to Standard Chartered. Insurance corporations based in Lima include Rimac Seguros, Mapfre Peru, Interseguro, Pacifico, Protecta and La Positiva. The Judicial branch is headquartered in the Palace of Justice and is home to the Supreme Court of Peru. The Palace of Justice in Lima is seat of the Supreme Court of Justice the highest judicial court in Peru with jurisdiction over the entire territory of Peru. Lima is seat of two of the 28 second highest or Superior Courts of Justice. The first and oldest Superior Court in Lima is the Superior Court of Justice, belonging to the Judicial District and. Due to the judicial organization of Peru, the highest concentration of courts is located in Lima despite the fact that its judicial district has jurisdiction over only 35 of the 43 districts. The Superior Court of the Cono Norte is the second Superior Court located in Lima and is part of the Judicial District of North Lima. This judicial district has jurisdiction over the remaining eight districts, all located in northern Lima. Lima is home to the headquarters of the Andean Community of Nations, along with other regional and international organizations. In 2016, Central was awarded #4 (chefs Virgilio Martinez and Pia Leon), Maido was awarded #13 (chef Mitsuharu Tsumura) and Astrid & Gaston was awarded #30 (chef Diego Muñoz and owned by chef Gaston Acurio). In addition, Central was named #1 restaurant in the list of Latin America's 50 Best Restaurants 2015. Out of the 50 best restaurants in Latin America, we find: Central #1, Astrid & Gaston #3, Maido #5, La Mar #12, Malabar #20, Fiesta #31, Osso Carnicería y Salumería #34, La Picanteria #36 and Rafael #50. These restaurants fuse ideas from across the country and the world. The 131st IOC Session will be held in Lima. The meeting will include the elections of the host cities of the 2024 and 2028 Summer Olympics. La Molina, San Borja, Santiago de Surco and Jesús María, home to the American Embassy, the exclusive Club Polo Lima and one of the largest parks in Lima, El Campo De Marte, are the other four wealthy districts. Lima is served by Jorge Chávez International Airport, located in Callao (LIM). It is the country's largest airport hosting the largest number of domestic and international passengers. It serves as the fourth largest hub in the Latin American air network. Lima possesses five other airports: the Las Palmas Air Force Base, Collique Airport and runways in Santa María del Mar, San Bartolo and Chilca. Lima is connected to the Central Andean region by the Ferrocarril Central Andino which runs from Lima through the departments of Junín, Huancavelica, Pasco and Huánuco. Major cities along this line include Huancayo, La Oroya, Huancavelica and Cerro de Pasco. Another inactive line runs from Lima northwards to the city of Huacho. Lima's road network is based mostly on large divided avenues rather than freeways. Lima operates a network of nine freeways - the Via Expresa Paseo de la Republica, Via Expresa Javier Prado, Via Expresa Grau, Panamericana Norte, Panamericana Sur, Carretera Central, Via Expresa Callao, Autopista Chillon Trapiche and the Autopista Ramiro Priale. The Metropolitan Transport System or El Metropolitano is a new, integrated system, consisting of a network of buses that run in exclusive corridors under the Bus Rapid Transit system (BST). The goal is to reduce passengers' commute times, protect the environment, provide improved security and overall quality of service. Metropolitano was executed with funds from the City of Lima and financing from the Inter-American Development Bank and the World Bank. Metropolitana is the first BRT system to operate with natural gas, seeking to reduce air pollution. This system links the principal points of the Lima Metropolitan Area. The first phase of this project has 33 kilometres (21 mi) of line (north) to Chorrillos (south). It began commercial operations on July 28, 2010. Since 2014, Lima Council operates the "Sistema Integrado de Transporte Urbano" (Urban integrated transport system), which comprises buses over Avenida Arequipa. By the end of 2012, the Metropolitano system counted 244 buses in its central routes and 179 buses in its feeding routes. Weekday use averages 437,148 passengers. Usage increased since 2011 by 28.2% for weekdays, 29.1% for Saturdays and 33.3% for Sundays. The Lima Metro has twenty six passenger stations, located at an average distance of 1.2 km (0.7 miles). It begins in the Industrial Park of Villa El Salvador, south of the city, continuing on to Av. Pachacútec in Villa María del Triunfo and then to Av. Los Héroes in San Juan de Miraflores. Afterwards, it continues through Av. Tomás Marsano in Surco to reach Ov. Los Cabitos, to Av. Aviación and then cross the river Rimac to finish, after almost 35 km (22 mi), in the east of the capital in San Juan de Lurigancho The system operates five trains, each with six wagons. Each wagon has the capacity to transport 233 people. The metro system began operating in December 2012 and transported 78,224 people on average on a daily basis. Overall, 40% of the population in Lima above 15 years old has been a crime victim. The younger population (ages 15 to 29 years old) has the highest victimization rate (47.9%). In 2012, citizens reported thefts (47.9%): in homes or establishments (19.4%), robbery or attack (14.9%), gang aggression (5.7%), among others in lesser frequency. The districts with the highest level of victimization are Rimac, El Agustino, Villa El Salvador, San Juan de Lurigancho and Los Olivos. The safest districts by level of victimization are Lurin, Lurigancho-Chosica, San Borja, Magdalena and Surquillo. Interestingly, these districts do not necessarily correspond to the districts with highest or lowest perception of insecurity.